In new audio recording, ISIS leader Abu Bakr al-Baghdadi calls on jihadists to resist their enemies. The Islamic State (ISIS) group on Thursday released a recording of what it says is its leader Abu Bakr al-Baghdadi, calling on jihadists under pressure in Syria and Iraq to "resist" their enemies, AFP reports. In his first alleged message in nearly a year, the jihadist leader called on his supporters to target the "media centers" of countries fighting his group. The United States said it was verifying the recording, but also that it had "no reason to doubt" its authenticity. "The leaders of the Islamic State and its soldiers have realized that the path to... victory is to be patient and resist the infidels whatever their alliances," Baghdadi allegedly said in the recording. He lashed out at "infidel nations headed by America, Russia and Iran" who, along with their allies, have inflicted losses on the jihadists during separate offensives against ISIS in Syria and Iraq. "We will remain, we will resist and be patient... We will not give in," said al-Baghdadi, according to AFP, a day after Iraqi forces defeated ISIS fighters who had seized areas in a surprise offensive around Ramadi west of Baghdad. He called on "soldiers of the caliphate" to pursue their "jihad", or holy war, and attacks. The voice said to belong to al-Baghdadi listed his group's defeats, referring to "blood spilt in Mosul, Ramadi, Sirte, Raqa and Hama". It was not clear when the message, released by the ISIS-affiliated Al-Furqan media group, was recorded. ISIS lost Ramadi in February 2016, Libya's Sirte in December last year, and Iraq's second city Mosul in July. Al-Baghdadi’s whereabouts are unknown, and there have been several reports – all unverified – that he has been killed. The Russian Defense Ministry said several months ago that al-Baghdadi might have been among a group of ISIS members who were killed in a Russian air strike on May 28 south of Raqqa, ISIS's de facto capital in Syria. The Syrian Observatory for Human Rights subsequently claimed it had "confirmed information" that al-Baghdadi has been killed, citing high-level ISIS commanders. U.S. officials, however, have remained skeptical. U.S. Defense Secretary Jim Mattis said in late July he assumes that al-Baghdadi is still alive. Army Lt. Gen. Stephen Townsend, who commands the coalition forces fighting ISIS in Iraq and Syria, said earlier this month that he believes al-Baghdadi is alive. 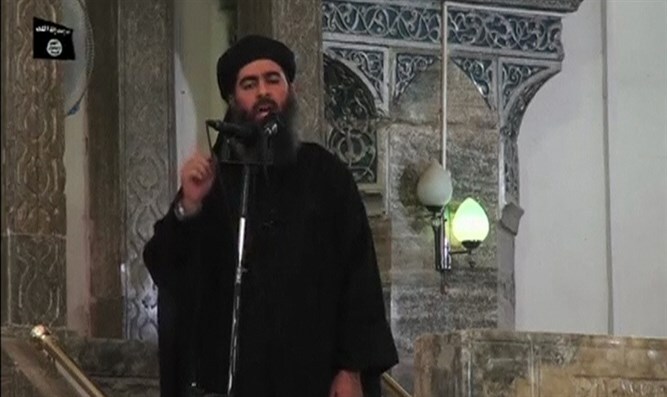 Thursday's was the first audio message said to be of Baghdadi since November 2016, when he spoke in a defiant tone in urging his supporters to defend the city of Mosul against a massive operation by Iraqi forces.